Bone marrow cancer. 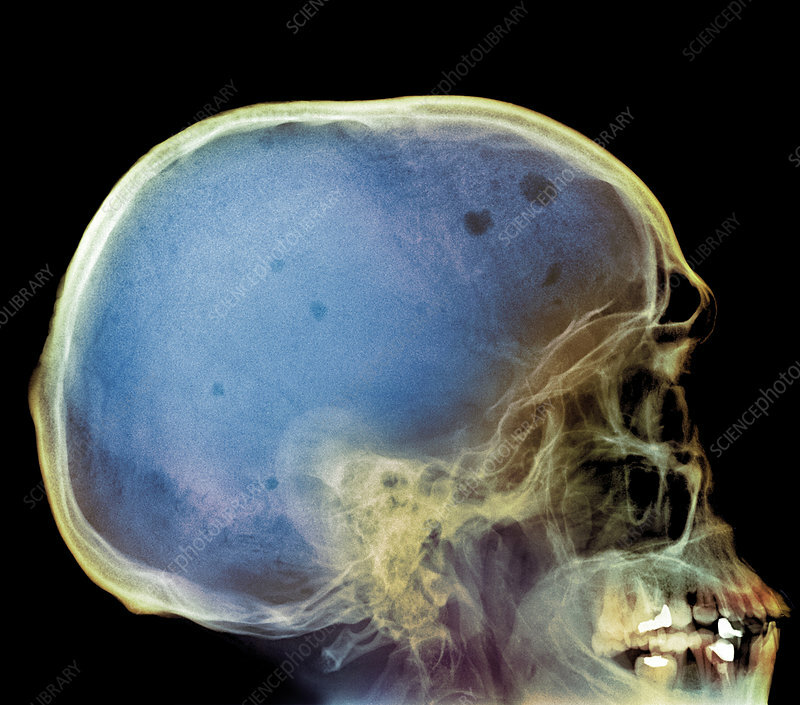 Coloured X-ray of the skull of a patient with myeloma (bone marrow cancer). Malignant (cancerous) lesions in the bone are dark grey and dark blue. These lesions cause the bone to weaken and fracture easily. The cancerous cells also replace normal healthy blood cells, causing anaemia and a weakening of the immune system. Myeloma is a rare cancer. Treatment is with chemotherapy and radiotherapy.